Located in East Africa, the United Republic of Tanzania is home to many natural wonders, among which is the eerie Lake Natron. It got its name due to the mixture of salt and minerals, called natron, which are revealed when the water’s level decreases. Natron is a compound that occurs naturally, comes from volcanic ash, and is mainly consisted of sodium bicarbonate and sodium carbonate. Located close to the Kenyan border, Lake Natron is fed by some springs that are rich in minerals, making the lake highly alkaline, reaching a pH of 9 to 10.5. To put things in perspective, sea water has a pH between about 7 and 9. The temperature of the shallow lake’s water can reach 140 degrees Fahrenheit and is salty enough to poison most animals. 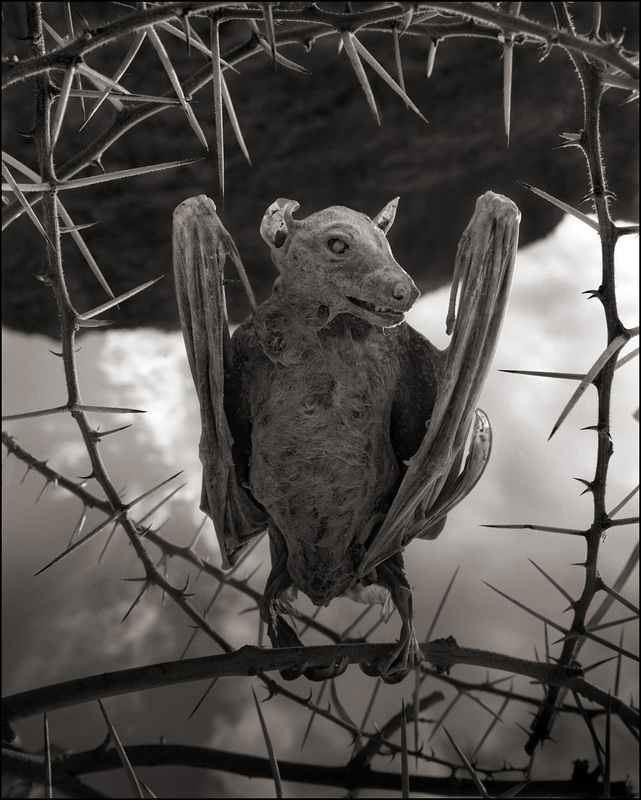 All these characteristics, make Lake Natron the deadliest in the country. The crust created by the alkali salt sometimes gives the lake a red or pink hue, or even orange in the more shallow parts, by the microorganisms that live there. Despite all of this, the lake remains one of the main breeding grounds for lesser flamingos, a species who’s status of ‘near threatened’ is a direct consequence of its dependence on Lake Natron for breeding purposes. During periods when there isn’t much rain, the lake’s water level decreases, revealing salt islands, on which birds build nests. The blue-green algae that grow in the water, in turn, feed on the birds nests. 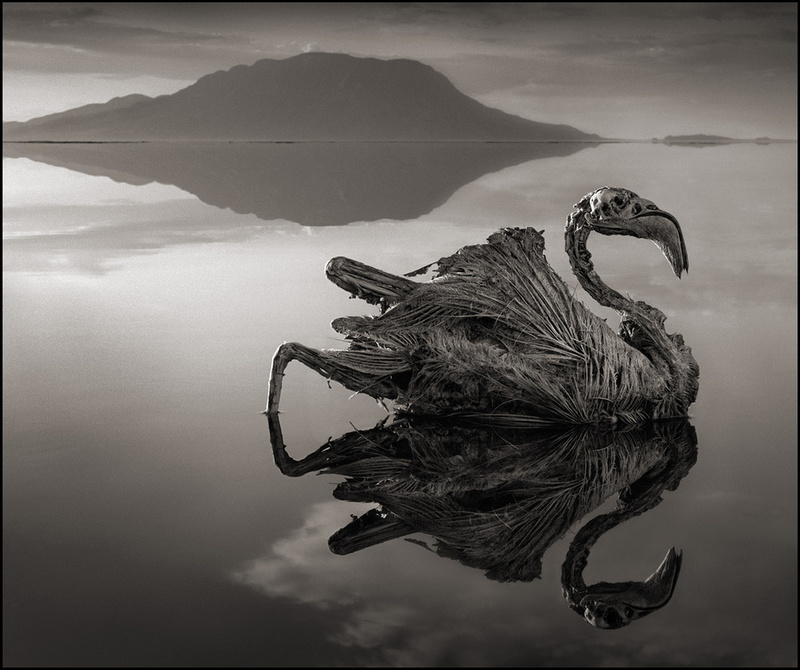 Animals that die in the lake are turned into statues, through calcification. No one really knows how these animals die. 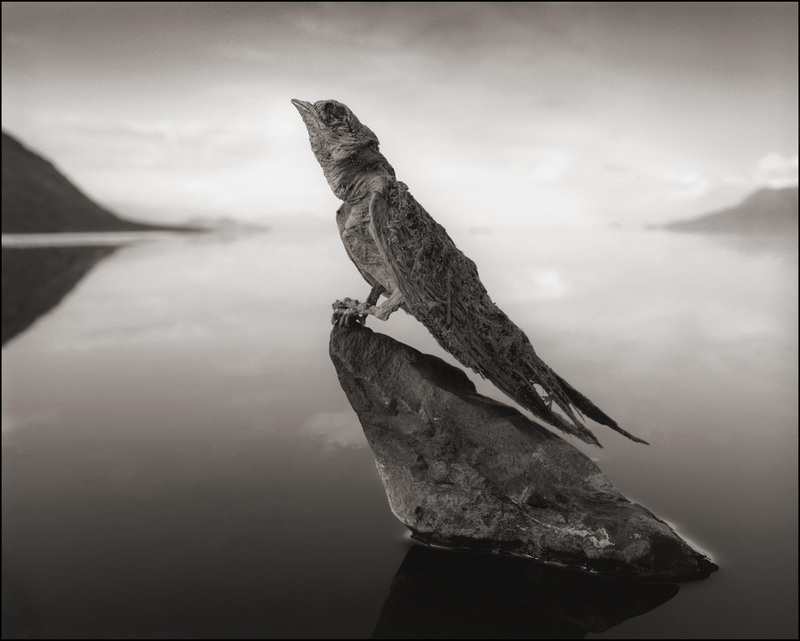 On theory, expressed by photographer Nick Brandt, is that the reflective nature of the surface of the water is confusing to the birds who crash into the lake. The extreme sodium bicarbonate content preserve them perfectly, making them look like statues. 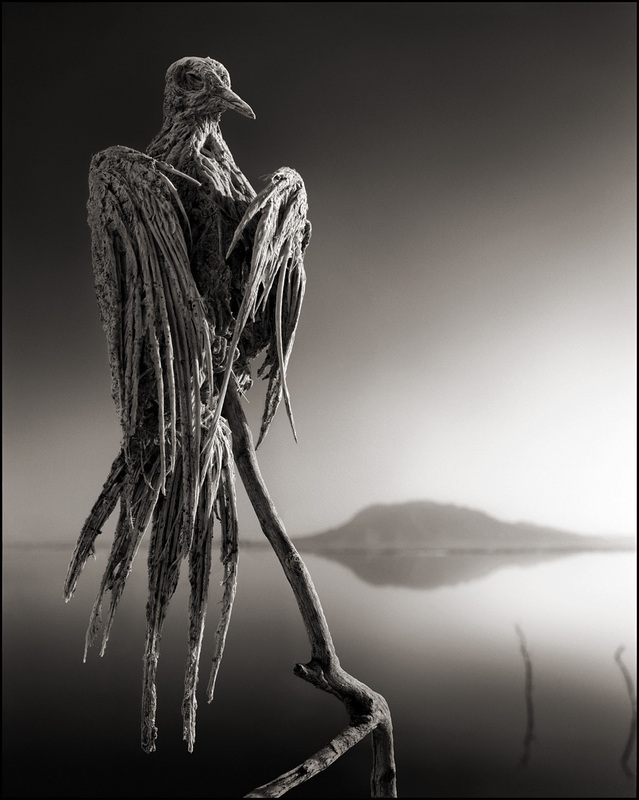 Brandt discovered the calcified creatures when he went on an exhibition to the lake, and could not help but photograph the statue-like birds. With the exception of a species of fish that has evolved to survive in the Lake Natron’s deadly water, no other species survives near it. The creatures who get caught in what seems to be a deadly trap set especially for them, perfectly preserved, were place in ‘living’ positions and photographed by Brandt. The eerie, albeit amazing set of pictures were also pictured in a book published by the photographer, which surely increased the popularity of the lake considerably. 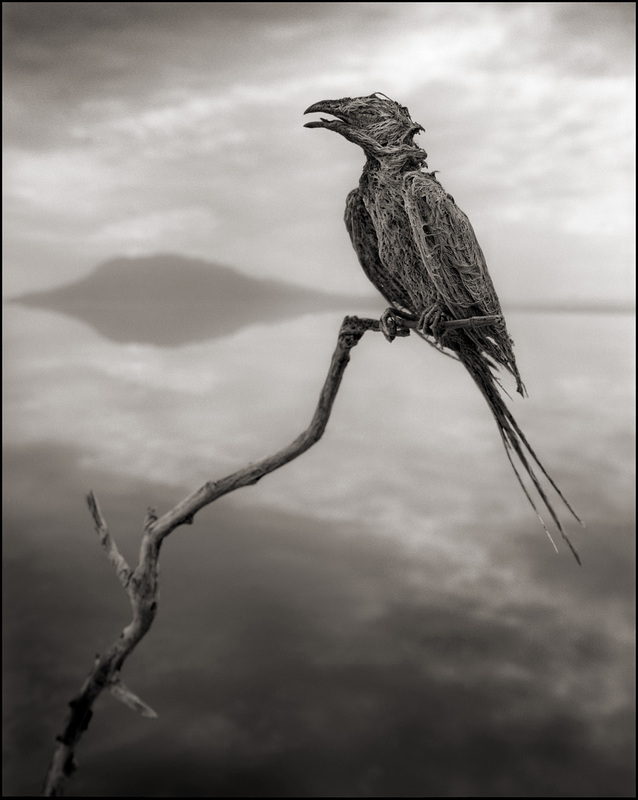 Images credit: © Nick Brandt 2013 Courtesy of Hasted Kraeutler Gallery, NY. shouldn’t the bat be upside down? The creatures who get caught in what seems to be a deadly trap set especially for them, perfectly preserved, were place in ‘living’ positions and photographed by Brandt….